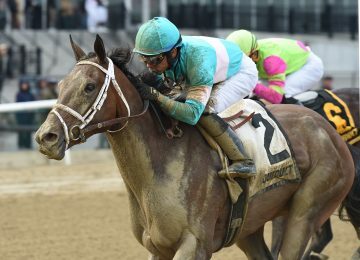 A BSW private purchase in 2016 for Mike Kisber and Head of Plains Partners, Mind Your Biscuits has gone on to win two G1s, placed in two Breeders’ Cup Sprint races, hit the board in two more Graded Stakes races and has also developed into a fan favorite. 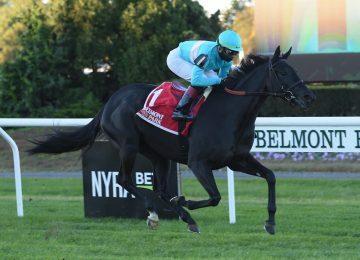 He returns to his old stomping grounds of New York on Saturday to take on two other Breeders’ Cup Weekend runners — Practical Joke and Sharp Azteca – in the G1 Cigar Mile at Aqueduct. 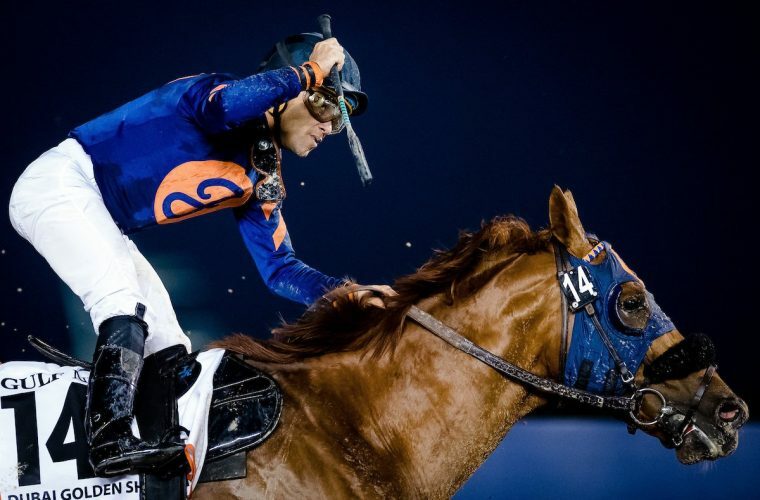 Mind Your Biscuits extends to a mile for the first time in his career and he will break from hole #1 in a field of 10. Mind Your Biscuits was last out 3rd in the Breeders’ Cup Sprint at Del Mar and is looking to regain his form he displayed in the early part of 2017. 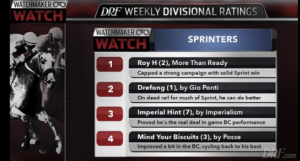 Experts and media agree – Mike Watchmaker noted “Improved a bit in the BC, cycling back to his best.” With the recent retirement of Drefong, Mind Your Biscuits now sits 3rd and Watchmaker Watch: Weekly Divisional Rankings for Sprinters and will look to take another step up the ladder on Saturday. 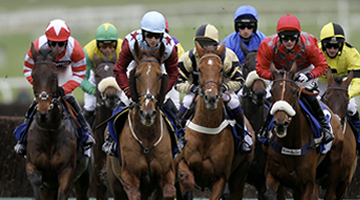 The Cigar Mile goes off at 4:16 PM ET.